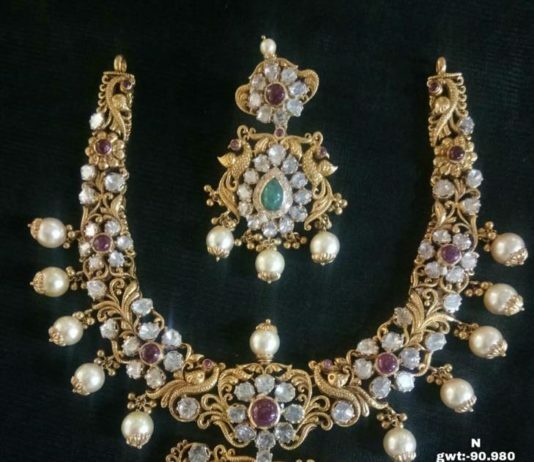 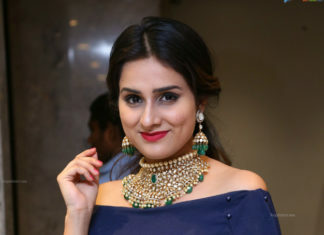 22 carat gold bridal choker adorned with flat diamonds, emeralds and south sea pearls paired with matching jhumkis and bangles by Kalasha Fine Jewels, Hyderabad. 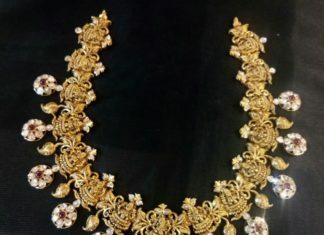 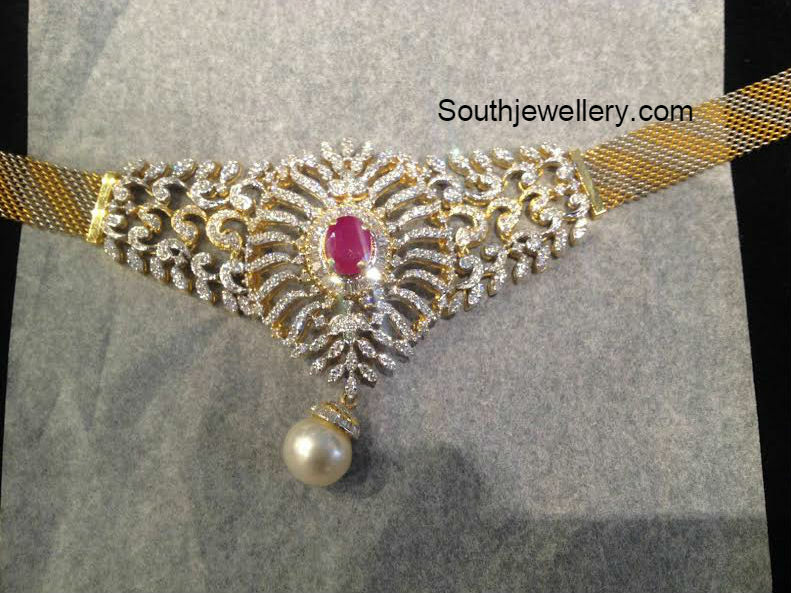 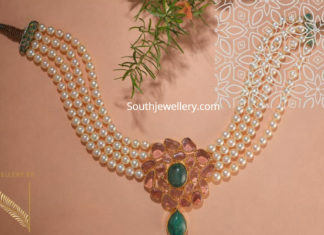 22 carat gold antique peacock floral pacchi necklace adorned with uncut diamonds, rubies and emerald by Sri Balaji jewellers. 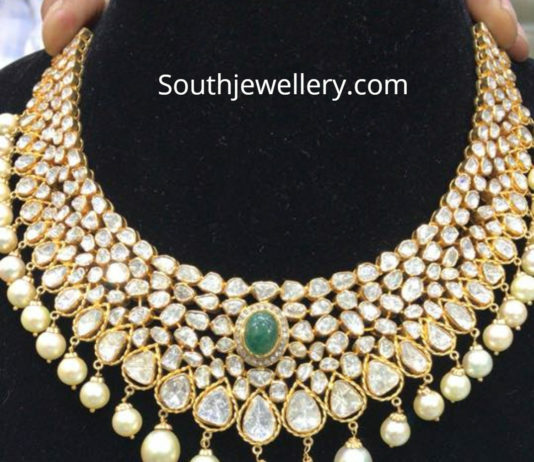 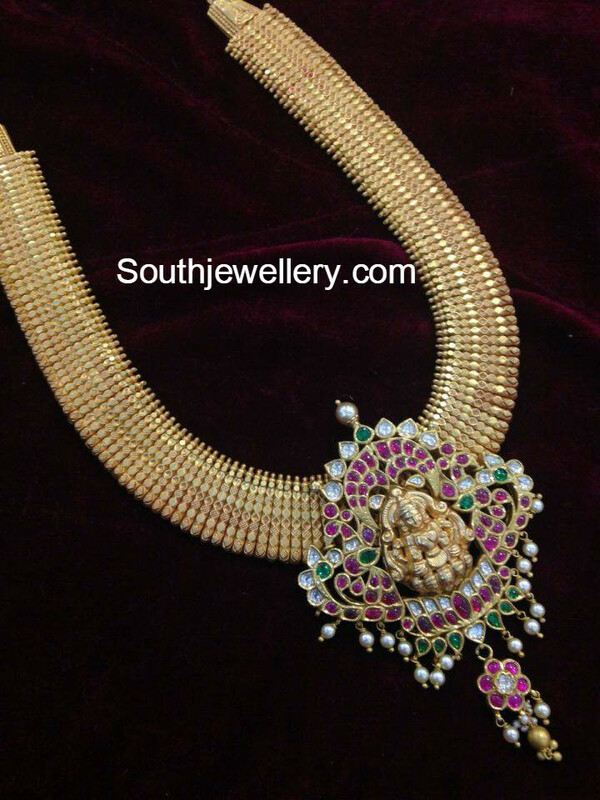 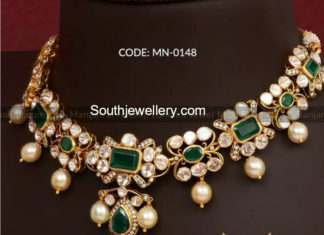 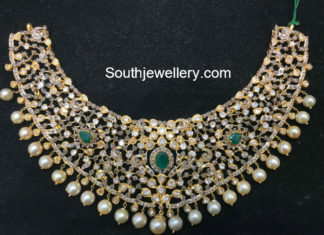 22 carat gold antique necklace adorned with flat diamonds, diamonds, emeralds and south sea pearls by Mangatrai Neeraj jewellers.